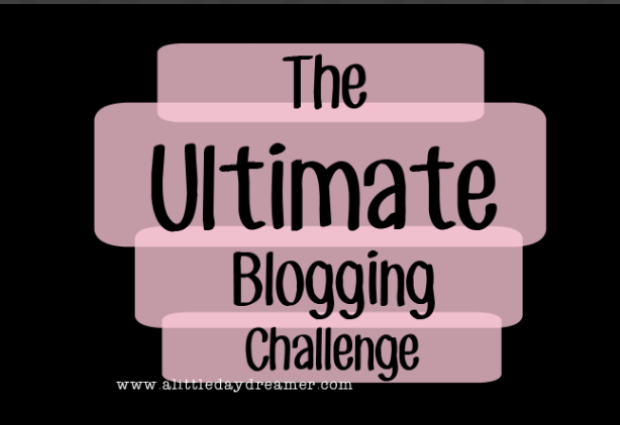 Here is the first day of the Ultimate Blogging Challenge and I can’t wait to get started! Right! Today is all about us getting to know you better. I would like you to create something that represents you in some way. It could be as simple as writing a [insert number] facts about me post. Or, it could be a story of something that inspired or influenced you as a person. You could even share a piece of artwork that you feel a connection to, whether it was created by you or not. For me, I would (and have) film(ed) a video about 25 facts about me. But that’s just one idea. As I mentioned in my previous post, I will be posting every 48hrs so that it gives you more time to post. Also, the days I’m not posting(tomorrow) I’ll be reblogging my favourites! Remember to include the tag #ourbloggingchallenge to ensure that I, and others, see your post. Pingback: A little daydreamer’s inspiration. | FD.